What Goes Well With Cucumbers? Try adding cucumbers to a Caesar salad! 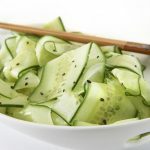 Cucumbers are a great addition to many other salads as well. Stuff cucumbers with seafood for a yummy appetizer, or try pickling them to make…pickles! Cucumbers are great as a base for salads. They’re refreshing, tasty, and beautiful. 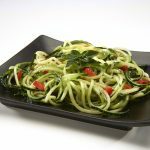 Try this cucumber ribbon salad or a cucumber noodle salad as a light lunch. 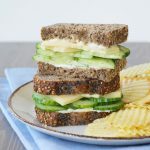 Cucumbers can act as a low-carb replacement for crackers. 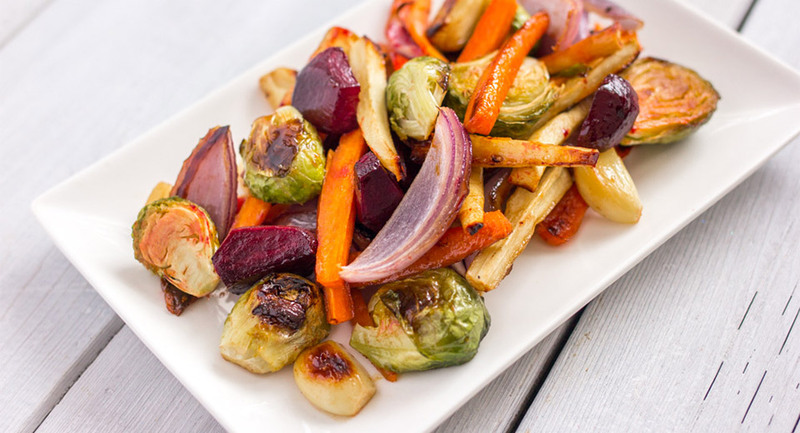 You can top with cheese, spreads, dips, and smoked meats. Cut cucumber in half lengthwise and scoop some of the seedy flesh out. It can now act as a ‘boat’ for seafood, cheese, or any topping of your choice. Cucumbers are fantastic as a dip too! Try this cucumber salsa, guacamole, or tzatziki! You can cook cucumbers too! Try this creamy cucumber soup. 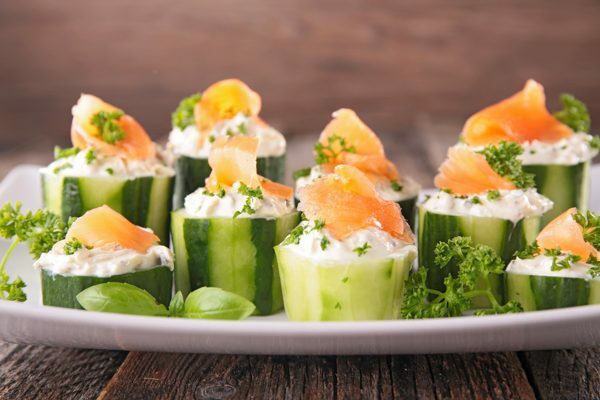 Top sliced cucumbers with cream cheese and dill mixed together and a small piece of smoked salmon for a delightful appetizer! Sliced cucumbers are a great addition to your water to add freshness.